Have you ever been fascinated by zombies? Zombies are usually known as a corpse that comes to life. 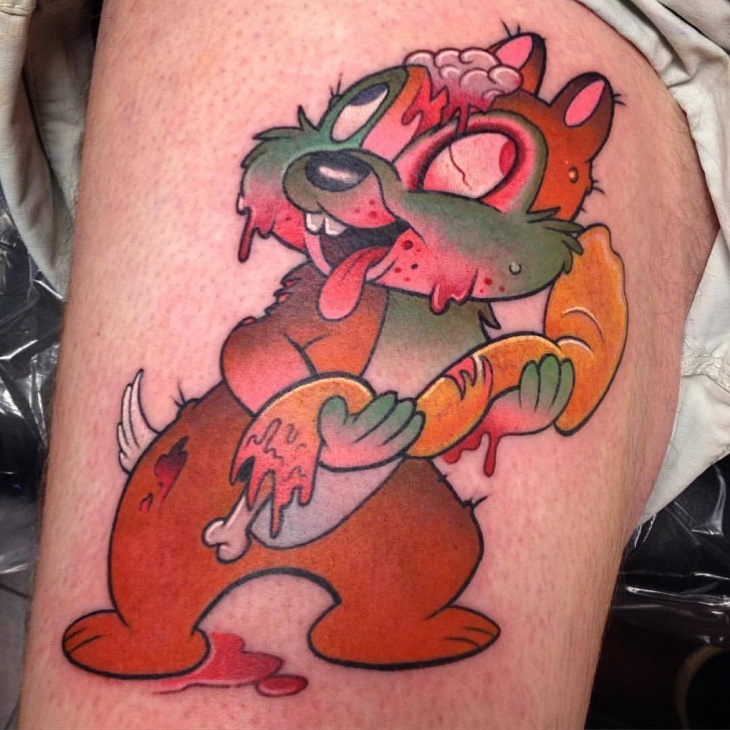 They can look quite scary and these zombie tattoos fit the bracket perfectly. They are a combination of scary, cute, and pretty and they all definitely look awesome. 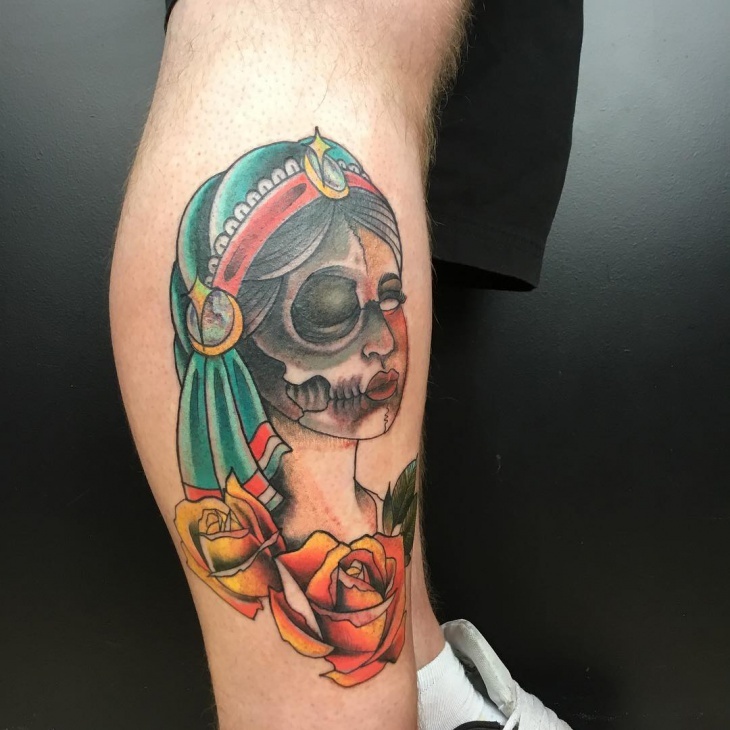 We took over social media to show you some crazy zombie tattoos and well we did find you some pretty spectacular ones. You will believe it when you see it. 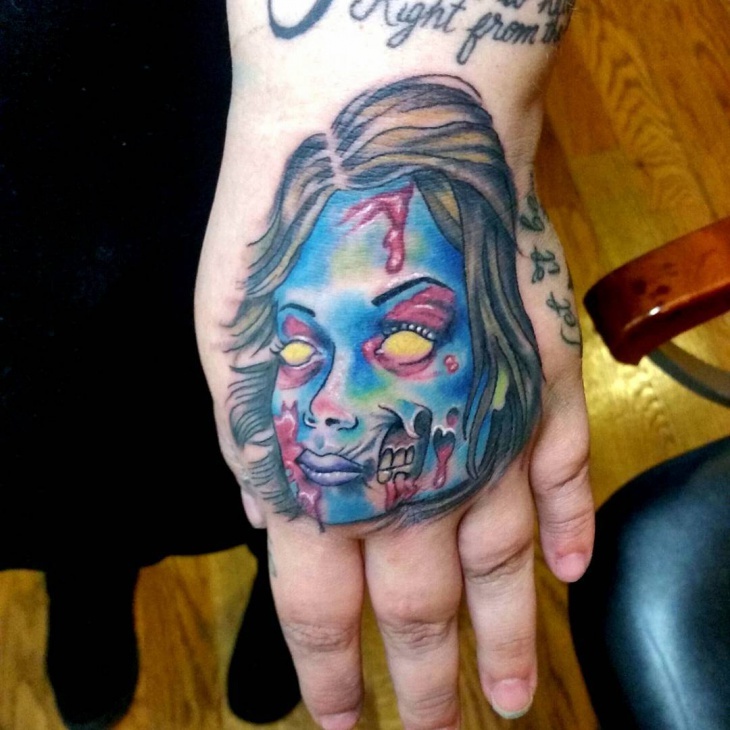 These zombie tattoos can be done on your legs, hands and even your head. Isn’t that cool? Well, go ahead, look into them and get amused just the way we did. 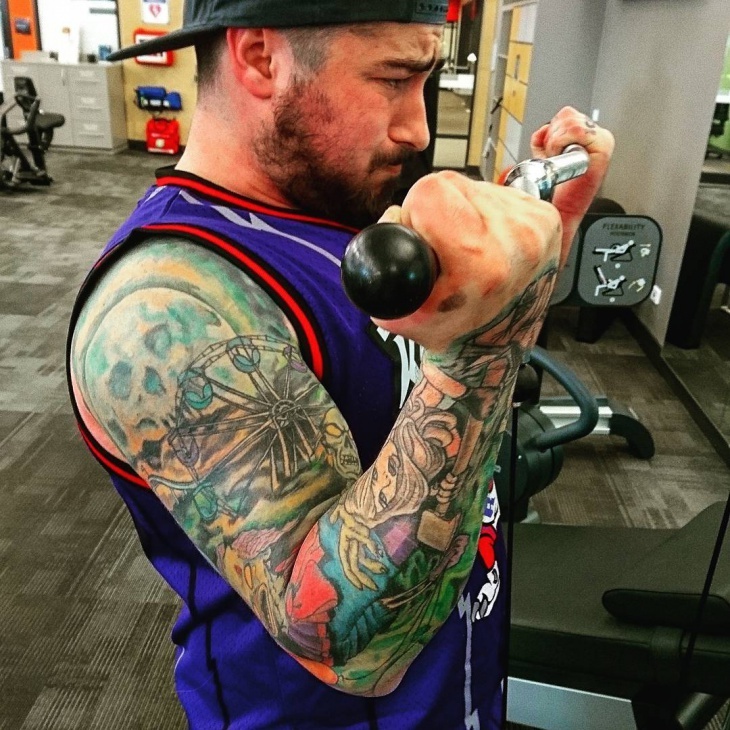 All the men out there, we have got an extremely macho tattoo in store for you. This demented looking zombie fits in into the scary bracket perfectly. We love how real it is made to look and how each expression on the face looks evil. You will feel like you are living in a vampire world. 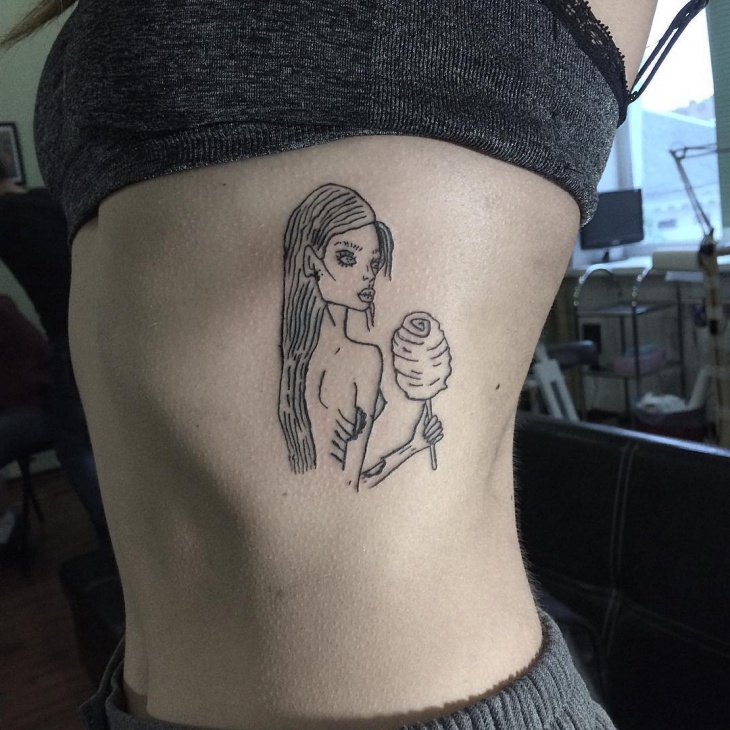 This tattoo gives out a spooky feeling. 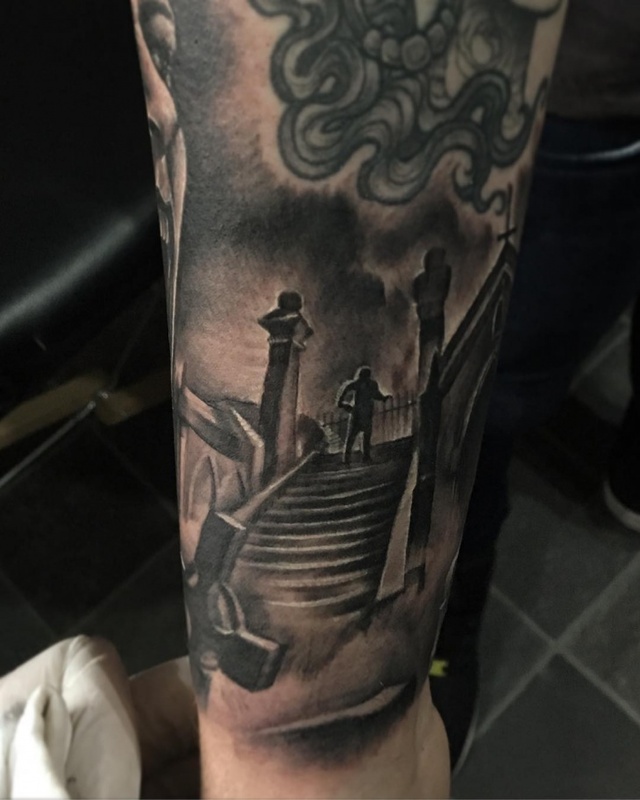 It’s a graveyard tattoo that you could get on your hand and it would pretty much cover your entire hand with its amazing shading and design. 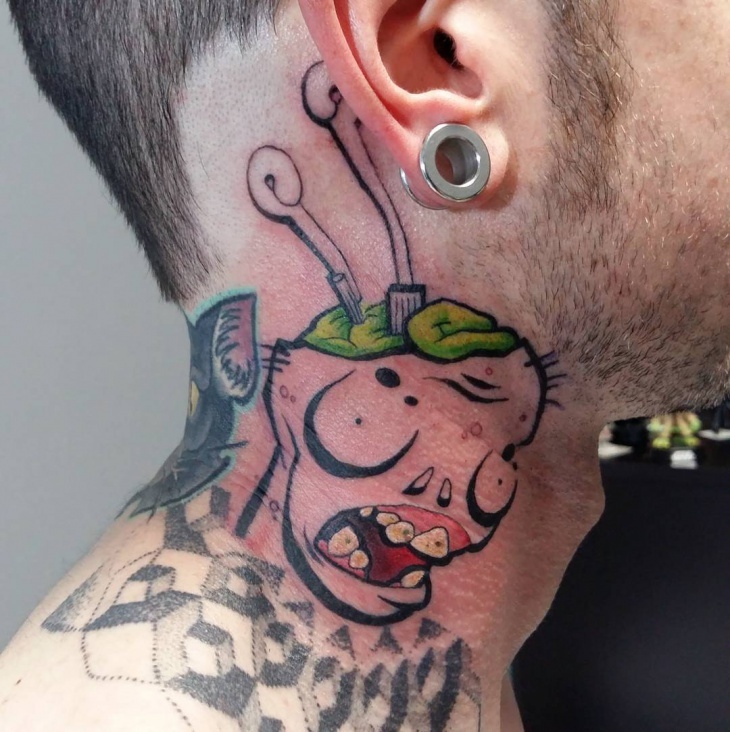 This evil looking tattoo is made to look so realistic and done with so much accuracy. 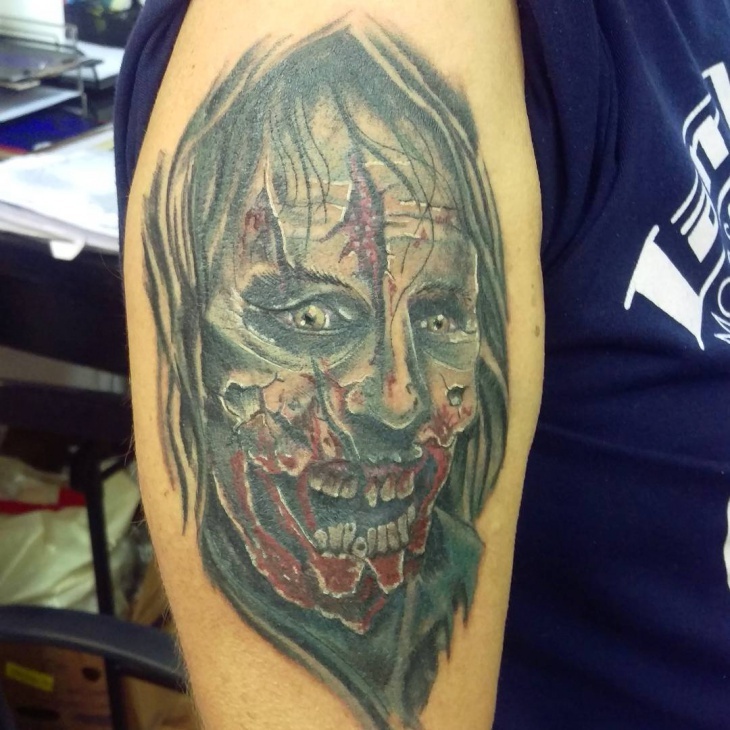 This zombie tattoo is very loud and brings out a lot of variations of an evil movie. We love the different colors used on it and it makes it look very bright and visually appealing. 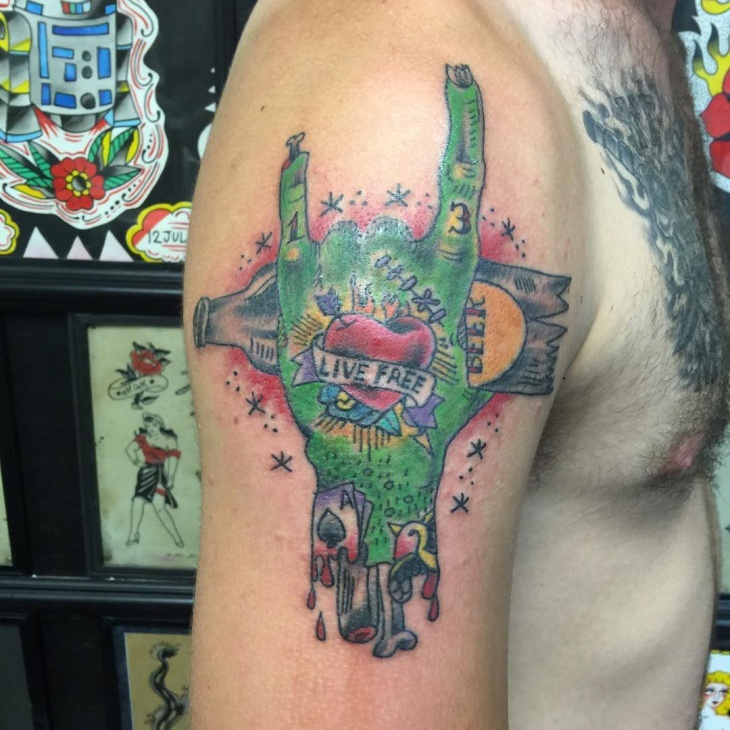 If you want a big tattoo to cover up your entire arm, this has got to be the one. This is a very cute and simple tattoo design with minimum work done to it. 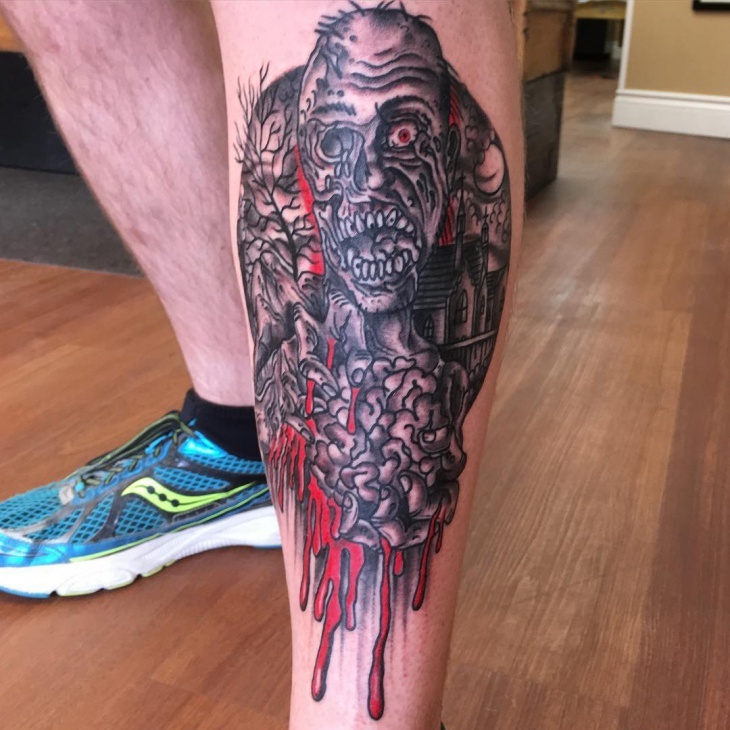 The zombie tattoo is just an outline and doesn’t look too scary but there is an evil touch to it if you look closely. We love the simplicity, though. This very cute zombie design is very well thought off and done well. 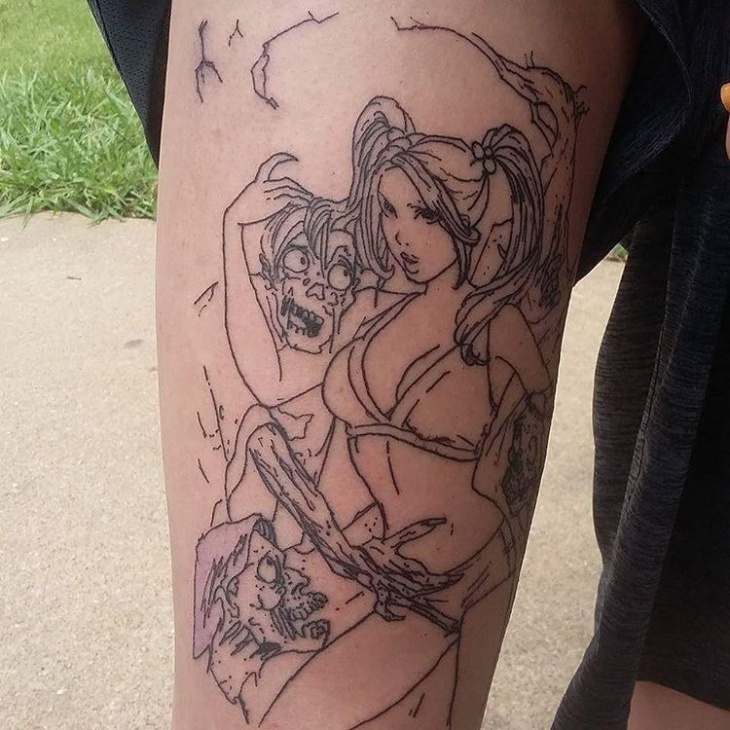 This pinup tattoo is done very well with its evil look. There is a combination of evil and hotness to this particular tattoo. 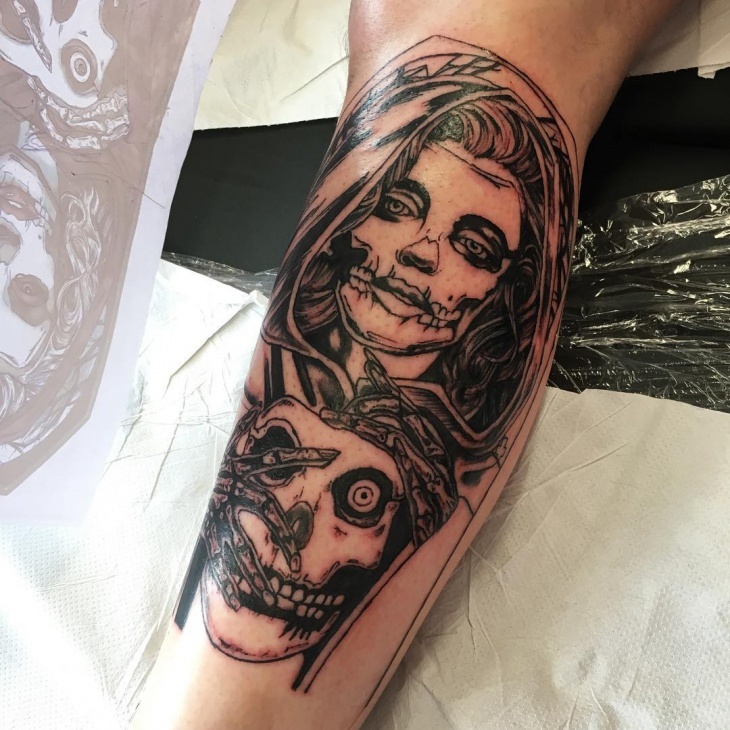 This half female and half skull tattoo design looks eccentric. The evil touch added to it gives out a scary vibe. 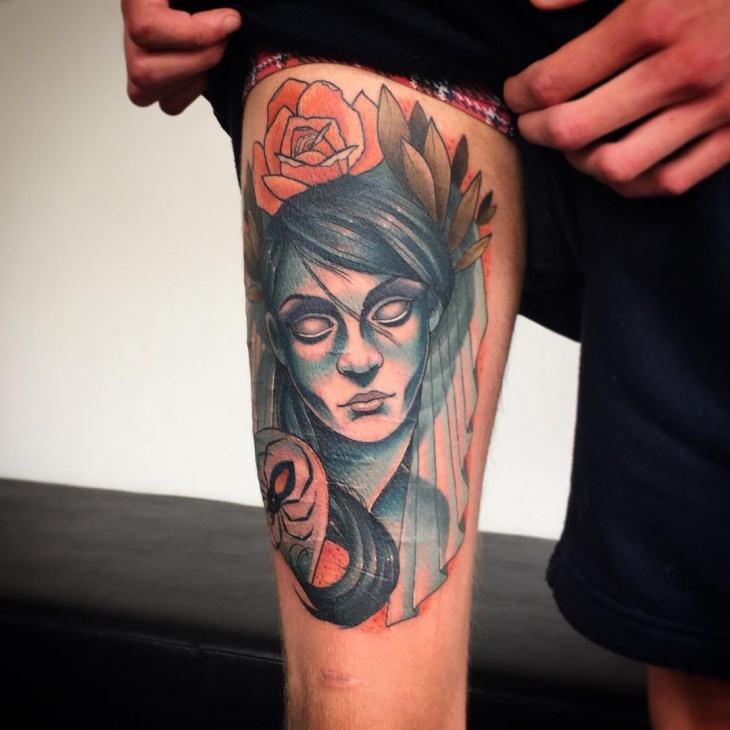 The black colored used is perfect and brings out the scary aspect of the tattoo overall. 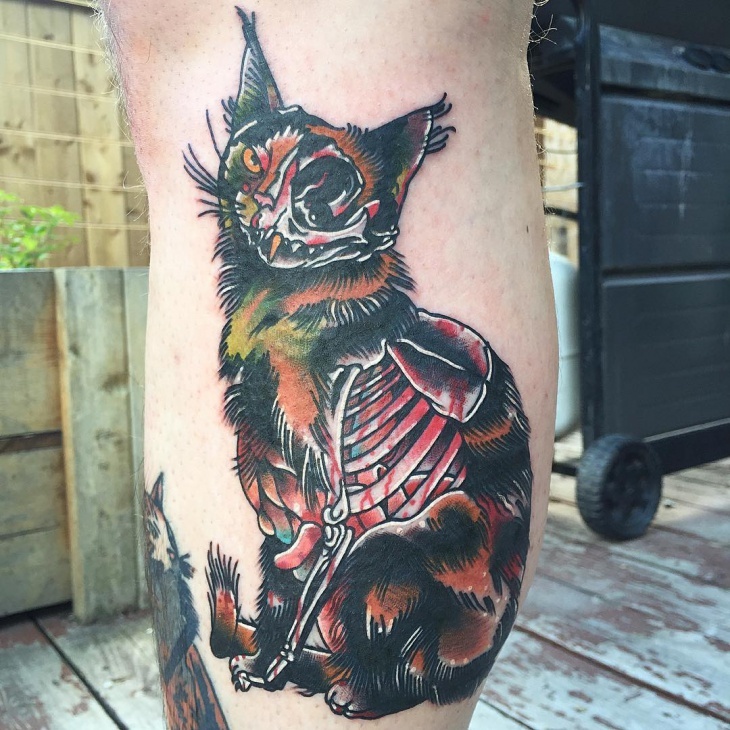 Well, we can’t exactly call this tattoo scary looking but cute is definitely a word we want to call it. Even though it is a unicorn, the evil smile added to it makes it look different and out of the box. It is a unique design and done to perfection. There is a perfect use of different colors and the unique combination of cute and evil, fits the category perfectly. 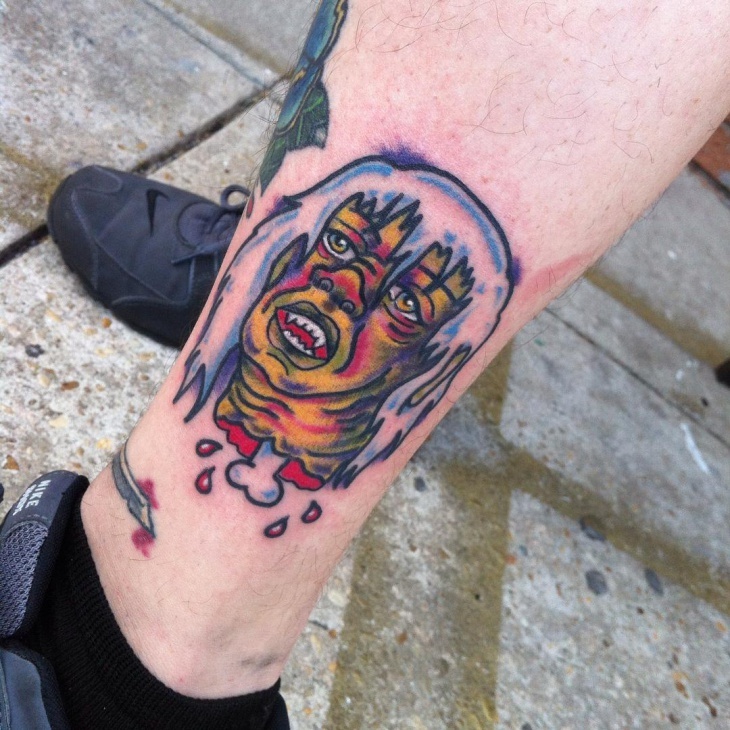 This is zombie head tattoo done on your leg. The red is used perfectly to show a lot of blood and the face looks demented. 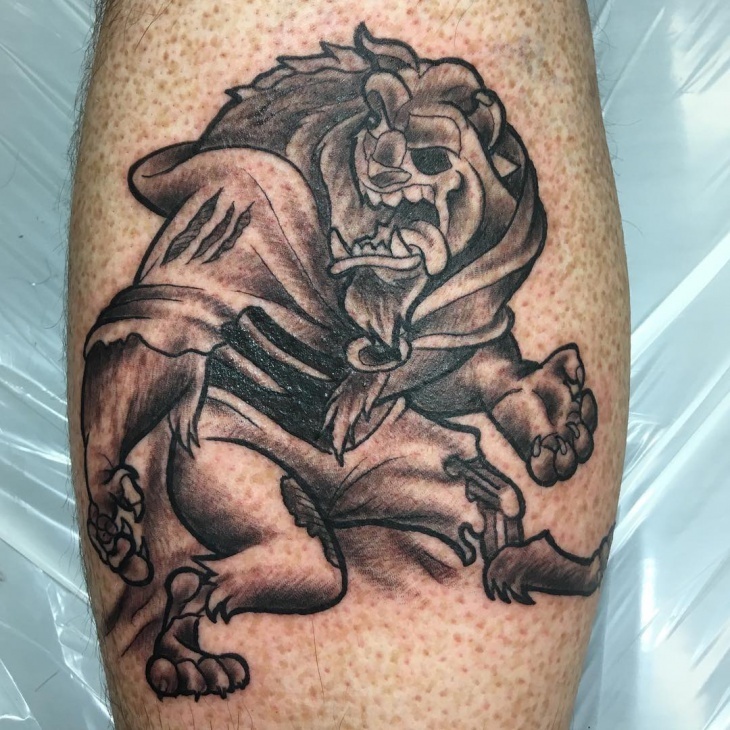 This is an evil looking tattoo, with those teeth it is also made to look like a vampire. 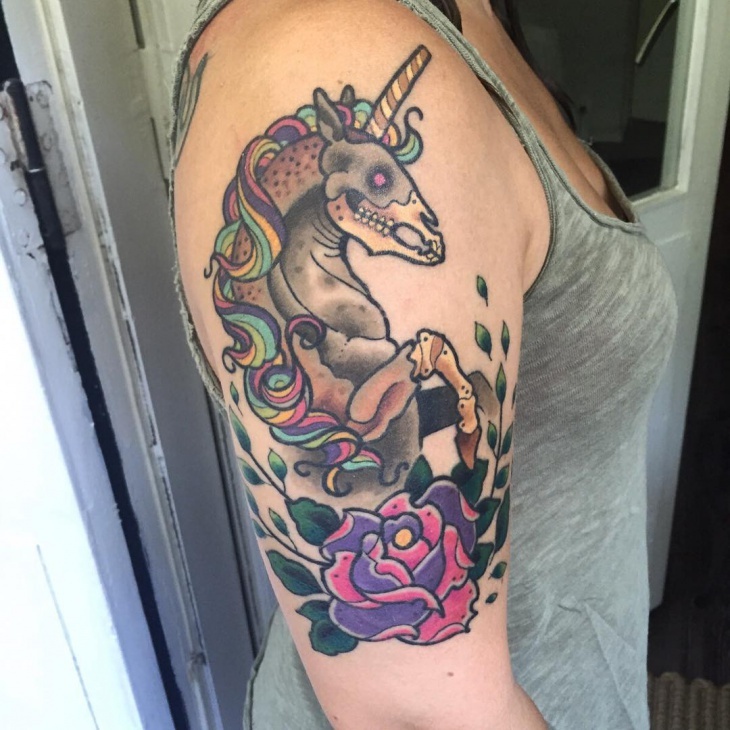 Well, these amazing tattoos are for both men and women. There are colorful and plain. Each of them has a story of its own. 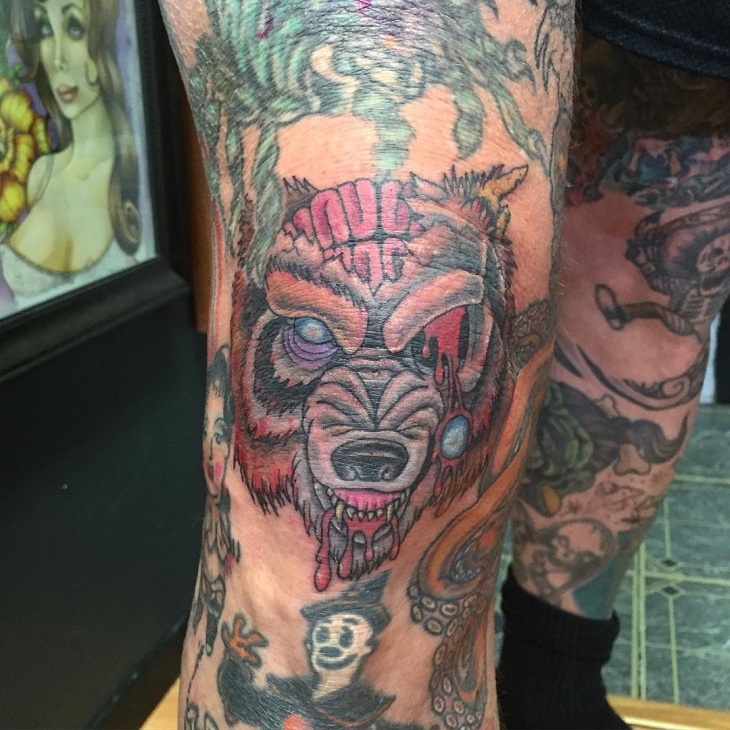 What we love the most is the idea, conceptualization, and designing behind every tattoo.